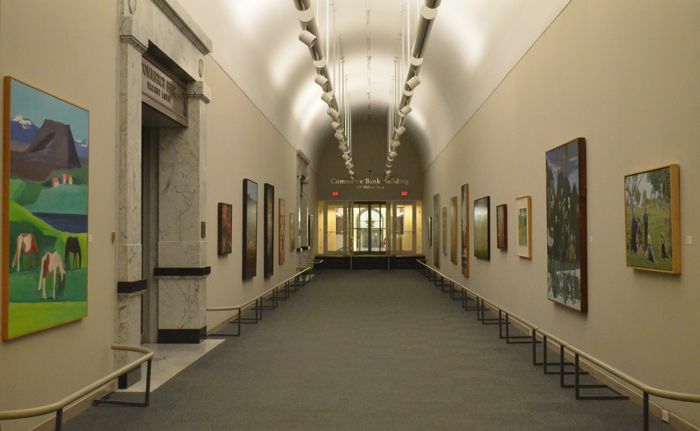 Recently, I had the opportunity to take a guided tour of Commerce Bank’s art collection, which was created in 1963 to “provide a stimulating environment for employees, customer and the general community.” While nothing’s quite as wonderful as a grand museum like the Louvre or the Met, there’s also nothing quite like the intimate charm of a small collection. The quiet moments of getting lost in a painting can be all the more special. And it is quite a neat experience to peak into the heart and mind of the collector, with each painting discovering another facet of the collector’s personality. During the tour, we stopped at a painting by Neil Welliver, called Mountain Stream. 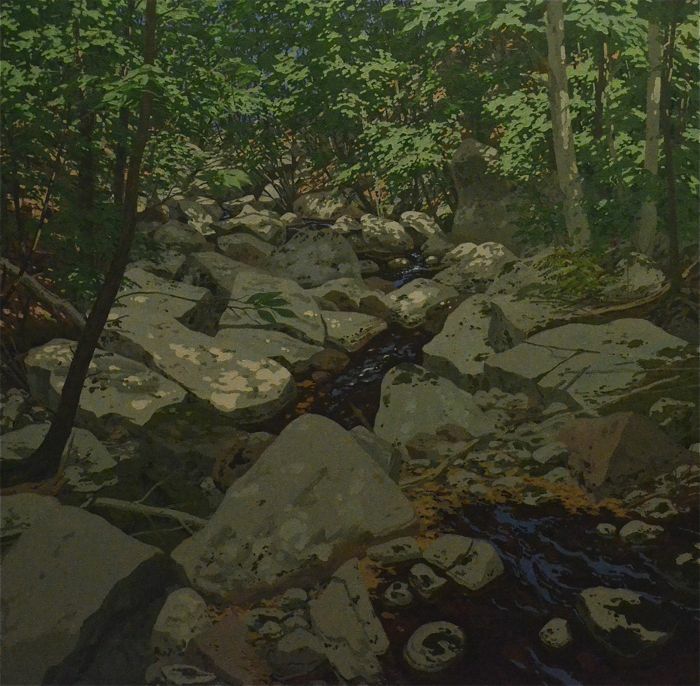 Someone commented that they always had found Neil Welliver’s art to be serene and peaceful, and thus, were surprised to learn of all the turmoil that had occurred in his life. In 1976, his daughter died from sudden infant death syndrome, and six months later his wife passed away. Fifteen years after that, his twenty-year old son died. Later, another son died. Welliver was known for beginning each canvas in the upper left hand corner and completing it in the lower right hand corner. Perhaps his painstaking process was an attempt to create order in a tragedy filled life. Perhaps his art was a refuge for him. As art is a refuge for many people. 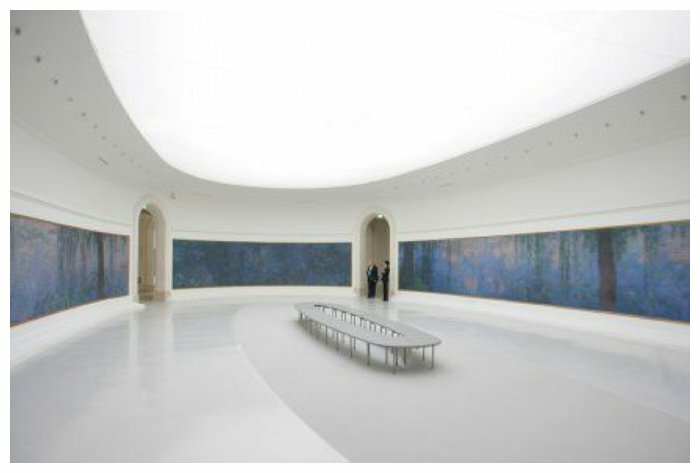 Claude Monet believed the Musee de l’Orangerie would provide a refuge for Parisians. 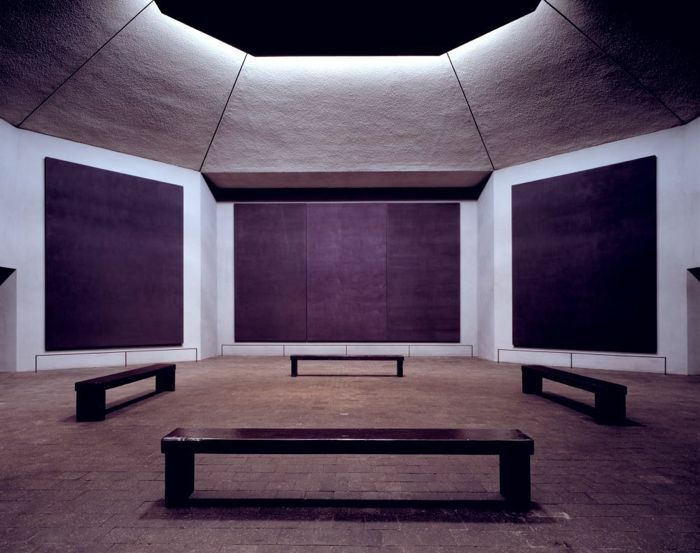 The bright white oval rooms swathed with the colors of flowers, bleeding into each other, curving into infinity. Monet said of the space, "Nerves overwrought by work would relax there just like the relaxing example of those stagnant waters, and, for whomever inhabited it, this room would offer asylum for peaceful meditation amidst a flowery aquarium."